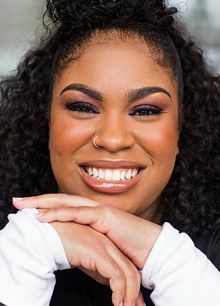 Angie Thomas isn’t ready to give her audience just what they want, said Kerri Jarema in Bustle.com. Following the huge success of The Hate U Give, her fiction debut, the Jackson, Miss., native chose to write a follow-up featuring a new teenage heroine but the same candor about drugs and gang violence that got the first novel banned by some school districts. It was, she says, a form of rebellion. “Everything that people said they loved about The Hate U Give, I did the opposite. And everything that people said made them uncomfortable about The Hate U Give, I wanted to do it even more.” On the Come Up returns to the same fictional urban neighborhood where responsible, community-oriented Starr witnessed a police shooting. But the protagonist this time is a rapper who puts her own dreams first. And censorship becomes her biggest hurdle.